Israel’s internal Security Agency is best known by the acronym Shabak or Shin Bet and is similar to the FBI. Libel is defamation by written words which becomes a criminal act when published. Extortion is the crime of obtaining money by the abuse of one’s office or authority. Just to let you know the latest news in my case. The small change they give me in these restrictions few months ago, (30 minutes to speak to some one in the streets), it did not make any real change. And my main target is to leave Israel, not meeting any one here. The time of meeting foreigners is over. So I am ready to leave, whenever they will end these restrictions. But before I am going to leave I discover by chance, they had prepared another block for my leaving, I found that I owe 100.000 Shekels to the Israel main news paper Yediot Aharonot, because I lost a Libel suit against them in 2005…not only they are allowed to publish lies about me, (that I am sending from prison instructions to the Palestinians how to make bombs,) but I also should pay them, because the lies come from the head of Shaback they can publish them…. 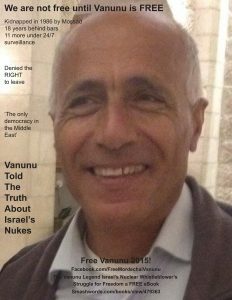 Yedioth Ahronoth’s headline read: “Vanunu gave Hamas activists information on bomb assembly in prison” and a second-page insert entitled, “He’s done it again”, claimed Vanunu sent messages containing bomb-making information to incarcerated members of Hamas. 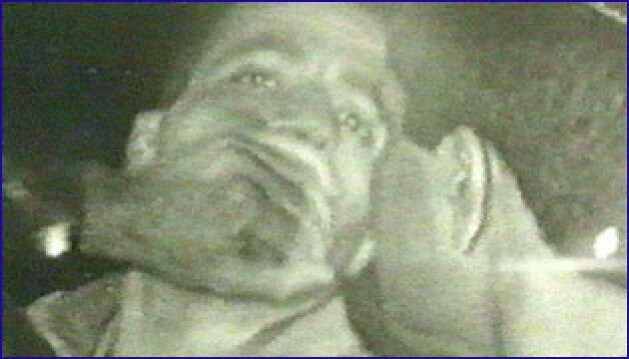 Avigdor Feldman, Vanunu’s defense attorney argued the report was fabricated. The article was never verified and neither the reporter nor Yedioth Ahronoth asked Vanunu for his response to the claim of the Shin Bet. The reporter of the piece was Ben Yishai who admitted the information he received came from Ami Ayalon, a head of the Shin Bet security services who spread the the story to a group of nearly a dozen journalists at the end of 1999. 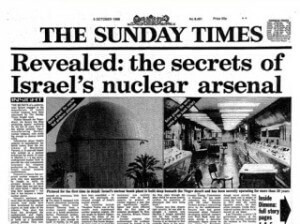 Five months after that meeting Ben Yishai published the only article furthering the fabrication which coincided with Vanunu’s request for an early release from 18-years behind bars. Not only was Vanunu denied an early release from prison, the restrictions denying him the right to leave Israel have been renewed every six months or so—the latest to expire at the end of May 2015. Vanunu concluded his March 22nd email explaining that his Lawyer Feldman and the Lawyer for the Newspaper agreed to reduce the amount Vanunu ‘owes’ to 10,000 USA dollars! 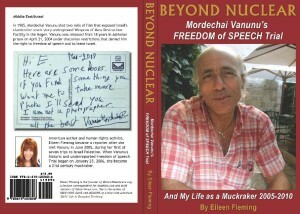 I emailed Vanunu to ask permission to publish his email HERE and Vanunu replied, You can publish it with this indiegogo. Sign and Share the Petition to World Media and Israel: We are not free, until Vanunu is free! THIS POST HAS BEEN READ 33154 TIMES SO FAR. THANK YOU!